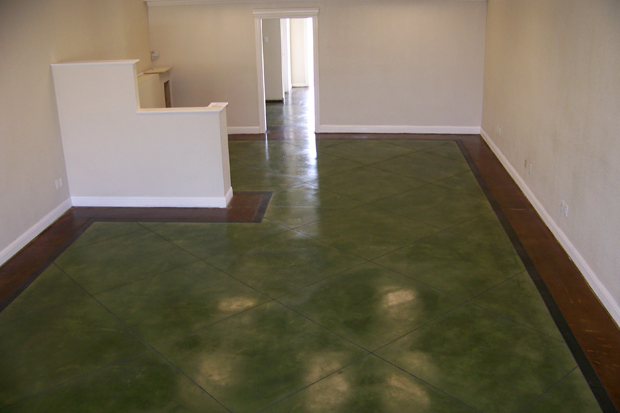 This privately owned hair salon is located in a strip center in Anderson, CA. 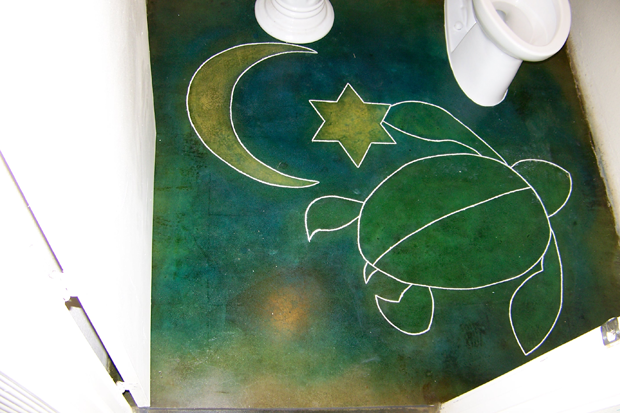 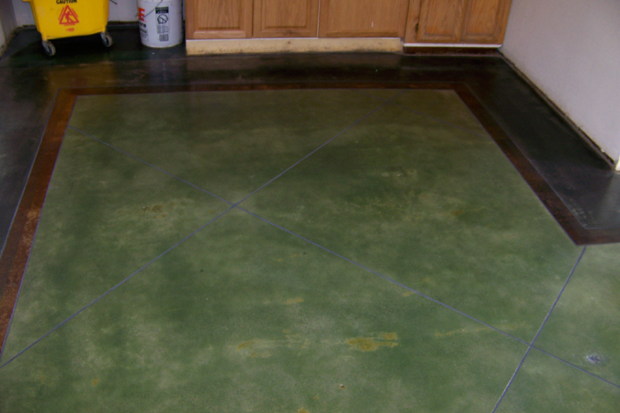 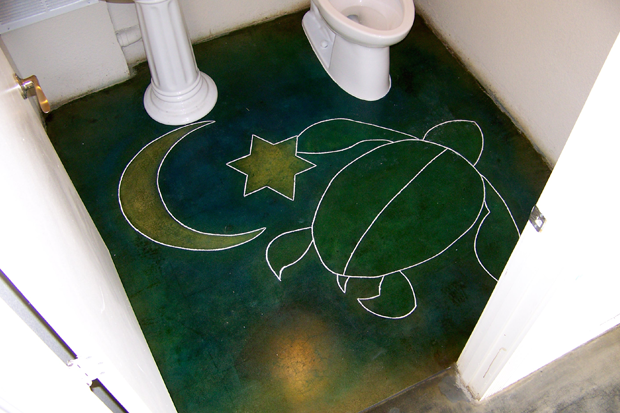 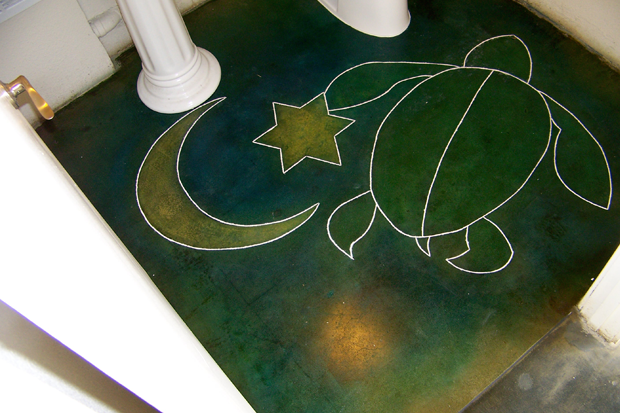 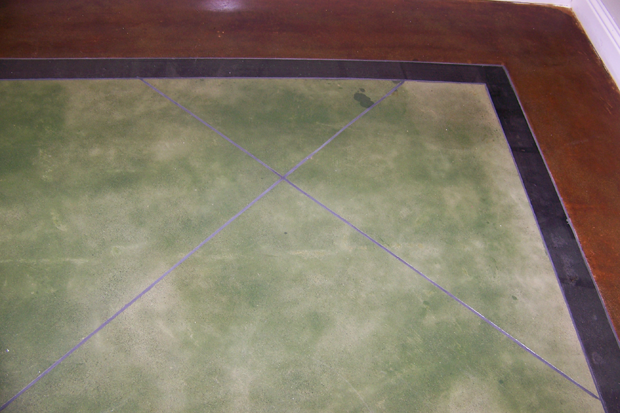 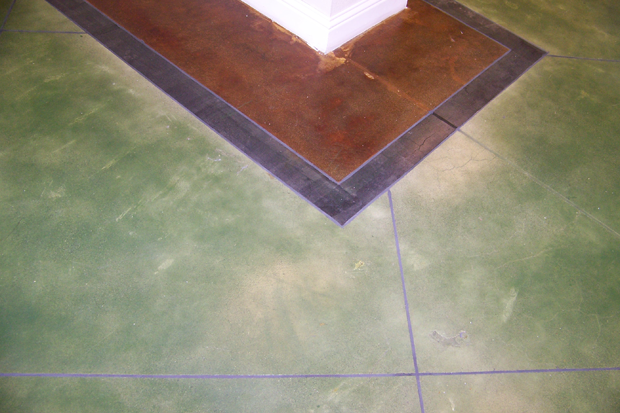 Before Concrete Designs came in, the floor had a build-up of adhesives from former tenants. 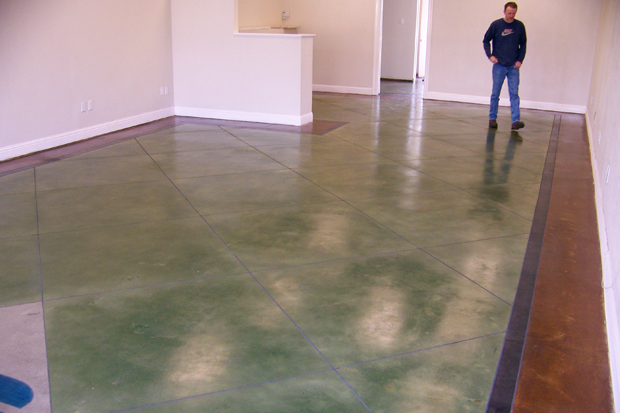 Concrete Designs removed the adhesives, stripped the floor down to bare concrete, and then ground it smooth, polished it, and stained it.